FACE: Total Revive Primer, Expert Touch Primer, Total Revive Foundation, Expert Touch Foundation, Radiant Skin BB Cream, Expert Touch Concealer, Sheer Finish Compact Powder, Delicate Shade Bronzer, True Brilliance Blush. EYES: Fine Khol Eyeliner, Precious Accent Eyeshadow, Velvet Perfection Eyeshadow, Pure Intensity Mascara. LIPS: Fine Contour Lipliner, Vibrant Colour Lipstick, Volume Intense Lip Gloss. ACCESORIES: Kripa Brushes, Single and Trio Palettes. SKIN CARE: K Beauty Glove. 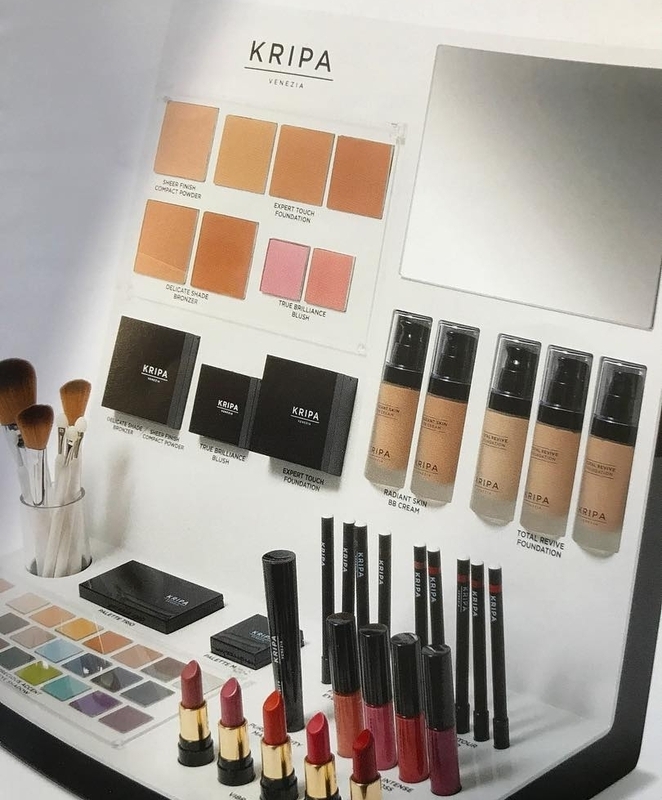 We have all of our Kripa merchandise available to try here in the salon, so even if you don't want a full makeover, you can still get acquainted with Kripa eye shadows, lip sticks/glosses, powders, foundations, concealers, lip liners, mascara, etc.